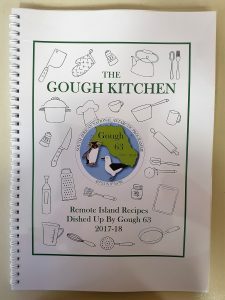 The 63rd Gough Island overwintering compiled a book with all the recipes used during their year on the island. Thanks to Jaimie Cleeland and Kate Lawrence (RSPB Field Assistants) they made contact with ALSA just in time for some final touch-ups and printing. 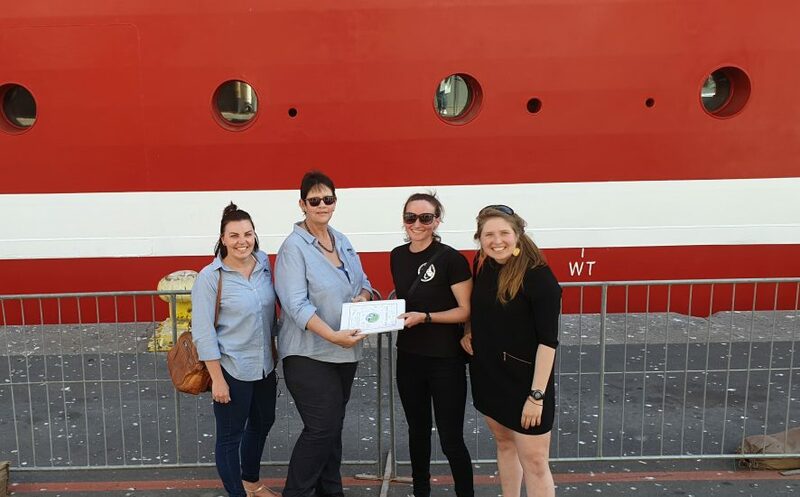 When the team arrived on Saturday, 13 October 2018, each team member received a hard copy of the book, taking home a part of their legacy created on Gough Island. They say food warms hearts. That seems pretty important on a small speck of an island in the middle of the vast South Atlantic Ocean, between 2,599 and 12,129 km from our family and friends in South Africa, Nigeria, France and Australia. When Gough 63 first met, some of the team claimed to be bad cooks. And the list of food preferences was as follows: 2 x can’t eat spicy food, 1 x no pork, 1 x gluten and dairy intolerant, 2 x onion and garlic intolerant, 3 x don’t like liver. All in all, a formidable challenge for any chef, good or bad, rookie or pro! However, in the words of a wise diesel mechanic, “anything is possible”. G63 got into the cooking skivvy roster and weekly routine of ‘shopping’ on Sunday, Meat Free Monday (didn’t last long), Chicken Tuesday, Take-away Friday (in the bar) and Saturday Night Movies preceded by a 3-course meal, dressed to the chef’s choice of theme. We haven’t worked out why there is an apple corer amongst the utensils, but we have learned that brussels sprouts are edible (especially if you add bacon), how to use the blender with a jug that doesn’t fit, and that the self-proclaimed ‘bad cooks’ are perfectly good cooks (as are the whole team). We have had many wonderful shared meals; 349, in fact. We’ve expanded our horizons beyond the 80km visible from Tafelkop on a clear day, and all 10 of us are now skilled at catering to various tastes and cooking without that kitchen essential, the oven. And ultimately, we have 10 warm hearts and a recipe book full of delicious memories. 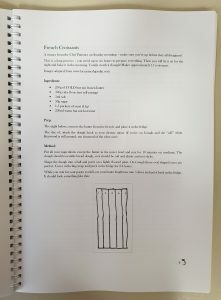 We congratulate Gough 63 with compiling this recipe book, now part of the Gough Legacy. Ria Olivier, Antarctic Legacy of South Africa, Department of Botany and Zoology, Stellenbosch University, 15 October 2018. 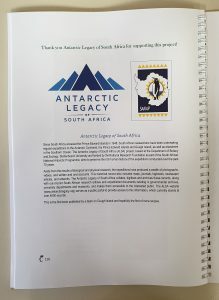 Next storyOpen access repository for the Antarctic Legacy of South Africa ongoing for more than a decade and still growing!